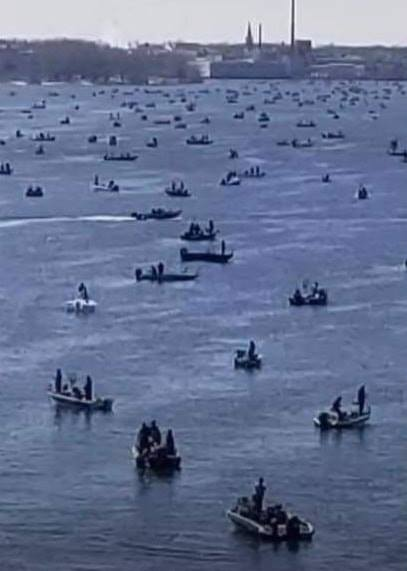 Crowded boat launches in the Green Bay, WI area signified the start of the walleye tournament season this week, along with active participation from anglers out for the enjoyment of the sport. The first warming trend of the Spring occurred this week, followed by a significant cool down for the weekend including some light snow on Saturday. 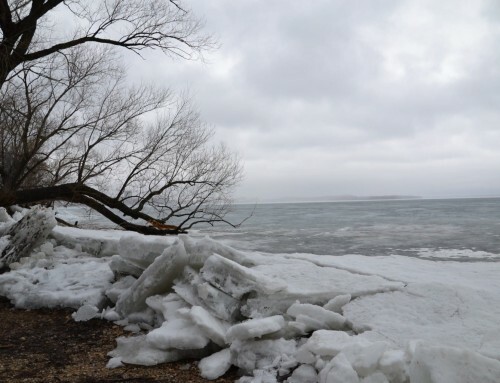 Water temperatures have remained relatively steady during the week with 40 degrees being the standard. Some of the back bays show temperatures up to 42 degrees. Water clarity remained steady with 2-3 feet of visibility in the main channel. However, there are individual pockets of water which are more stained. The back bays have much clearer water. In general, the river is full of males and some pre-spawn females. The females have been staged out of the main river channel, staying out of the stronger current. On Saturday, many of the females moved into the deepest holes in the cold weather and the with the strong North wind. Males have been associated with the river current, either staying in the current or coming out of the channel to the adjacent flats to feed. Deep holes in the river are also providing feeding opportunities for walleyes. Catfish are also common in the holes. While most boats focused on the main river, shallow water opportunities also presented themselves. Protected shallow water areas with warm water and reduced flow were providing mid-sized females a chance to stage and feed. These areas, often six feet or shallower, had Rapala Rippin Raps working well in natural colors for anglers. The baits need to be worked less aggressive than in warmer water. Either straight retrieves or slow pumps were required to get hooked up. Pike are also present in the shallow water. While a jig and minnow were catching nearly all the fish, I did find some walleyes with a preference to night crawlers. Every year crawlers will produce at his time of year in the Fox River, regardless of conventional wisdom. While plastics have caught some fish recently (better than the previous week), they have not been “on fire” to date as the retrieves are generally too aggressive. The jig retrieve was ultra-slow this week. Aggressive jigging techniques would catch fish, but not at the rates of a slow retrieve. Best explained –let the jig drag until nearly catching on the bottom of the river and lift slightly off the bottom momentarily before repeating. The walleyes would pick up the jig on the fall. Jig weight varied from a quarter ounce to a half ounce, depending on how close you were to the dam in DePere, WI. Color preference leaned toward blue, pink, yellow and orange; but no definitive trend emerged. The hole near the dam was loaded full of fish. Many of these fish were walleyes and whitefish. However, there seemed to be feeding periods for the walleyes, and these fish would only be active for short windows each day. The shallower flats (5-10 feet) have been holding limited numbers of walleyes. 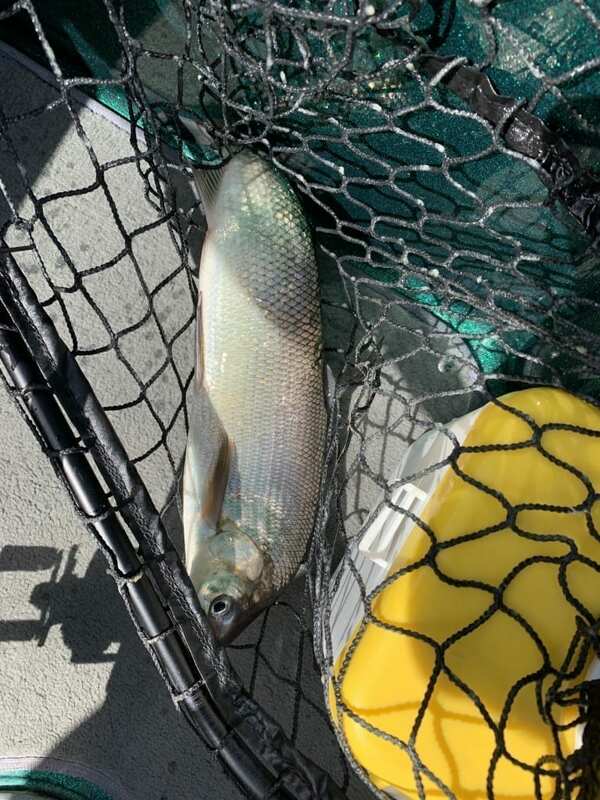 I did find a significant amount of whitefish in the flats near deeper water. 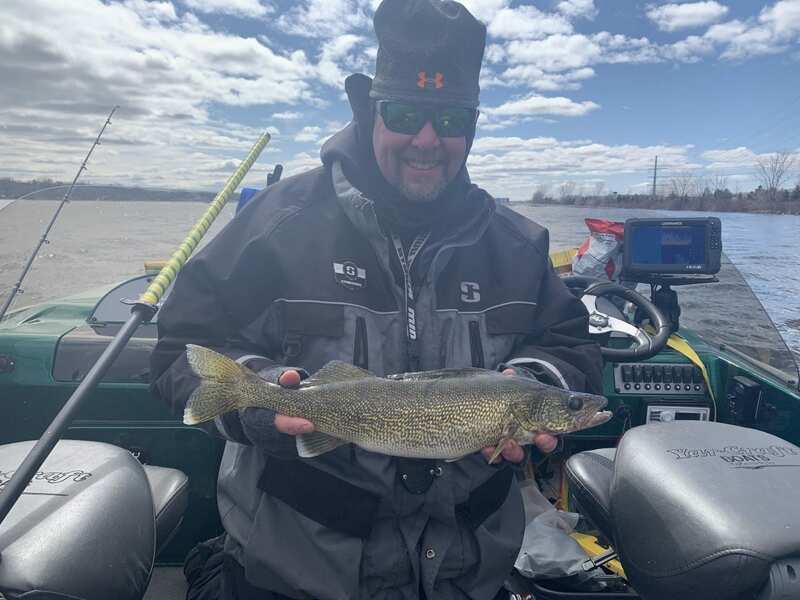 The trolling bite has been solid overnight for walleyes, and tougher during the daylight hours. Look for trolling to pick up once walleyes move into the post-spawn phase. 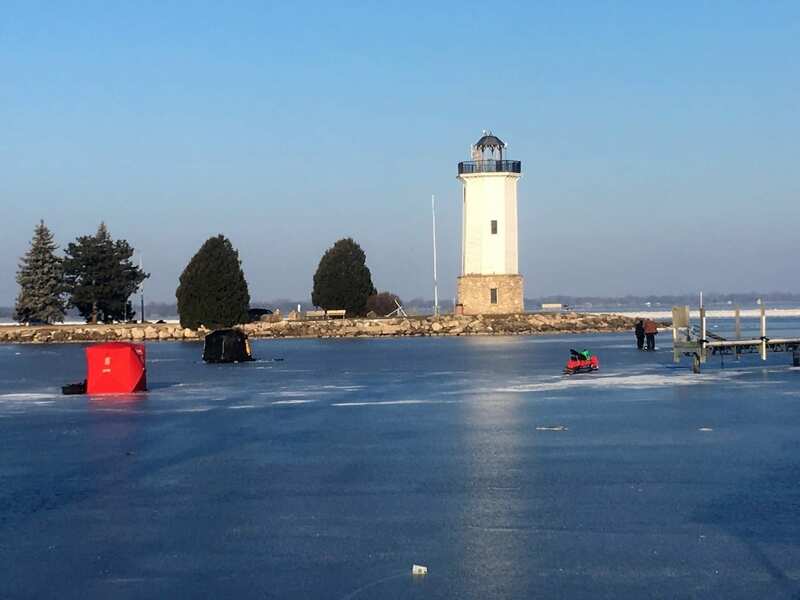 Several tournaments occurred over the weekend in the harsh conditions. 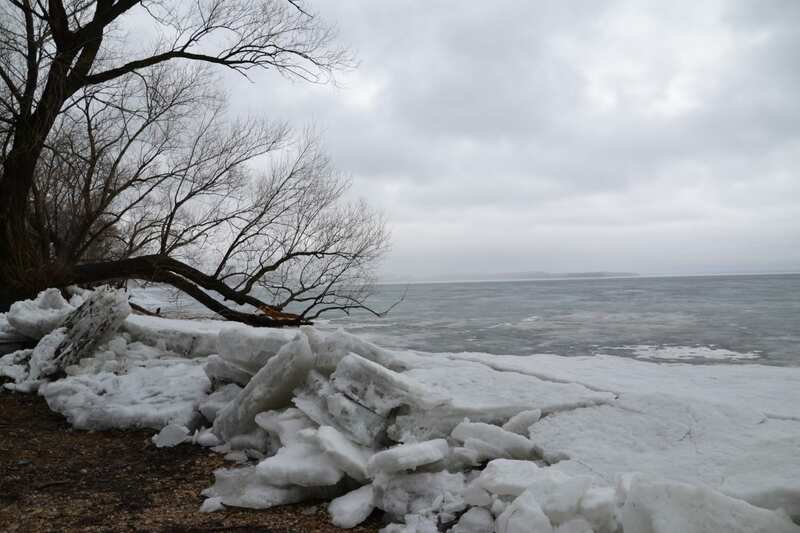 By far, this was the toughest bite of the open water season in the snow, but most teams came in with full cards. 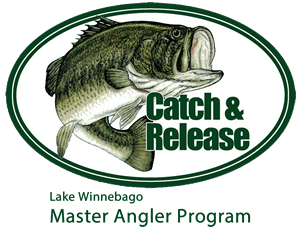 All tournaments are catch and release on the Fox River this time of year, and no fish are kept. The Green Bay Walleyes Series (5 fish) had a winning weight of 26.84 pounds (5.4-pound average). The SwampDonkey Open was won right next to us, working the break line of the deep hole and the flat (78.75 inches on three fish). 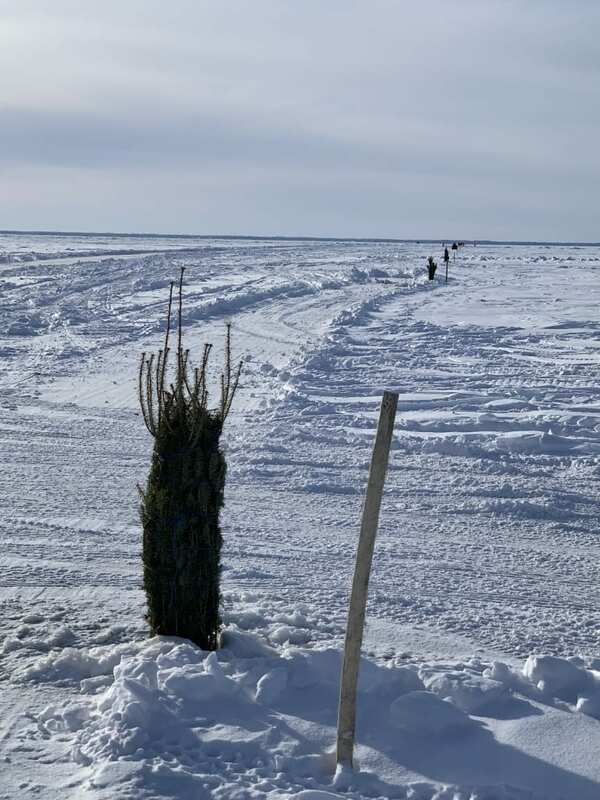 Overall, the 28+” walleyes just were not active/present in any substantial numbers. The largest walleyes of the system have yet to come up to the spawning grounds, and all the females we caught this week remain “hard” (not ready to spawn). We also witnessed no males in the spawning phases. 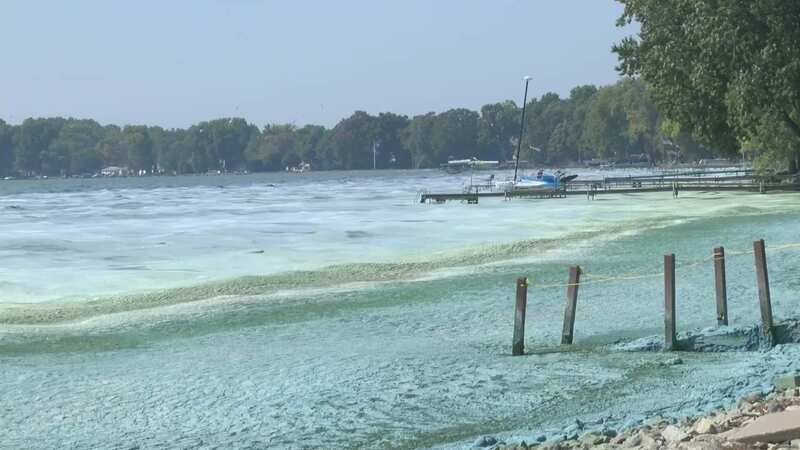 While the system is behind past years for spawning activities, it is likely that the Fox River is setting up for a short and intense spawn this year. The long-range forecast is indicating some 60-degree days in Green Bay (plus some rain); so, the spawn should occur over the next 10-days if the weather forecasters are correct. Get on the water! The Spring run can make legends out of good fishermen! mark@myfishingpartner.com is my email for your reports. We welcome them!